Have you been looking for the best scope for a 30-30? A good scope for a 30-30 is one that uses the round’s short and medium range to the fullest extent. With that in mind, here is a list we’ve compiled to help you on your mission to scope out your 30-30. The 30-30 is a classic round that is only used in two different lever action rifles these days: the Marlin 336 and the Winchester 94. It is a favorite among seasoned hunters such as myself who hunt in wooded areas. Scopes come in every shape and size these days and knowing which is best comes down to a comparison in features. The features of any scope vary widely depending on the price, manufacturer, and use. The features you need for a 30-30 are somewhat different than the features you need for a shotgun scope. Here we’ll break down some of those features that need to considered when buying a new scope. When you consider magnification it is important, to be honest with yourself. How much magnification do you need to complete the job? How far are most of your shots? 500 yards? 150 yards? Using to much magnification for your intended use can limit your capabilities in the field. Higher magnification usually makes it more difficult to track a target that is on the move. Variable scopes have helped to eliminate the choice between low and high magnification. Higher magnification also can make the scope heavier, bulkier and just plain cumbersome. It’s best to take an honest look at what you really need from your scope and make a decision from there. The objective lens is important in that the size determines how much ambient light is transmitted through the scope to your eye. This essentially makes the image you are looking at clearer and brighter. Lower magnification doesn’t usually need a bigger objective lens because you can only zoom in so much. A larger objective lens can create problems with mounting and cheek weld. The bigger the objective lens, the higher the scope needs to be mounted which can lead to inaccurate shots. It will also add to the weight of the scope, making it bulkier and heavier. Glass refers to the optic glass used in the scope. With technology being what it is today, most glass is made well whether it is a budget scope or a high-end scope, but the difference lies in the coatings. Full multi-coated lens will hold up for many years against the elements, whereas scopes with fewer coatings will begin to fade after a few years. There are many different styles of reticles these days, but three of them are the most common ones you will run into. The duplex reticle, the BDC reticle, and the Mildot reticle are all common reticles that most scopes come equipped with. Choosing which one depends on your needs and your skill level using scopes. Keep in mind what you are using your scope for when choosing. Some reticles have a lot going on and are difficult for a beginner to understand and use. For most applications with a 30-30, the duplex reticle will work fine. Knowing what a scope can handle in the field is paramount to make sure it holds zero and remains functioning. Variable scopes have more moving parts which equals more things can go wrong with it. A fixed power scope may be more durable but less flexible when it comes to hunting at multiple distances. You want to look for a scope that is fog proof, waterproof, and shockproof. Finding one that has protective coatings on the air-to-glass surfaces is a good idea as well. Nitrogen purged scopes help with keeping your scope from fogging up in changing weather. Field of view, or FOV, is basically what you are able to see through your scope from left to right. This is typically measured at 100 yards. FOV is important because the larger the field of view the better you can acquire targets that are moving. For a 30-30 a larger field of view is recommended by myself. Having hunted with a 30-30 since I was just a little guy, I know this particular round is great for thick woods and brush. To hunt in that sort of terrain requires a larger field of view than open prairie hunting at 300 yards. After taking all the important factors of what makes for a great 30-30 scope we have developed a list of the 5 best scopes on the market now. The list we’ve compiled below should point you in the right direction to find your next scope for your 30-30. This is a versatile variable scope that can work for both short and medium range shots. The multi-coat lens system delivers great clarity and contrast. Good eye relief is needed for the 30-30 and this scope provides it. Since the 30-30 is a great rifle for short and medium range shots, this scope provides what the shooter needs: quick target acquisition. The fast focus eyepiece makes adjusting the scope a breeze when a shot is on the line. The nitrogen purging process keeps it waterproof and fog proof. The rugged simplicity makes it easy to use and adjust. One customer noted that this is the best scope for this price that you will find anywhere, with crisp clear reticles and easy zeroing in. This Vortex is made for speed and versatility, both of which are important with the 30-30. The fully multi-coated lenses give a nice clear, crisp image even at 6X power. This scope is waterproof, shockproof, and fog proof, and holds up in all weather conditions. The etched reticle comes illuminated, and it will keep working even if the batteries run out. The reticle has 11 different illumination settings to keep you in the field long after others have gone home. The fast-focus eyepiece keeps the reticle clear and crisp. Customers have been pleased with the Vortex Optics Strike saying it is as good as scopes costing 2-3 times as much. They are great for quick target acquisition at the true 1X power and can perform out to 250 yards with the 6X magnification. This scope is made for a wide range of applications with a magnification range from 1 to 8. You can use this for quick target acquisition or to hit something 300 yards away. Fully weather-proof will keep you going even in the worst weather and conditions. The reticle combines BDC with wind adjustments and moving target leads. This makes it an optimal choice for a 30-30 rifle and firing accurate shots at the deer you are tracking across the field. 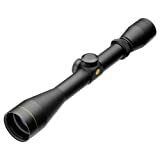 Customers have said this is a great entry level scope with great glass and average clarity. The fully multi-coated lenses keep your image clear and crisp and ensures that the scope will last throughout the years ahead. It has decent eye relief that will work well with a 30-30, providing ample room between your eye and the scope. The reticle has 12 brightness settings to accommodate nearly any lighting situation. The Nikon ProStaff is a durable scope with great light transmission. 98 percent of light makes it through the scope to your eye which translates to a great image and contrast. The quick focus eyepiece is great for keeping the reticle nice and clear. The spring-loaded adjustment knob with zero reset turret ensures that the scope holds zero and stays where you have it set. The compact size makes it a great choice for the 30-30 rifles giving you plenty of eye relief and a lightweight optic for your gun. The reticle is simple and easy to use which makes it a great scope for an entry-level shooter. This setup is made for lighter rifles like 30-30’s. Customers love the simplicity of this scope saying it is easy to use and the reticle is nice and uncluttered. Here is a true budget scope if you are in the market for something a little less expensive. You won’t find another scope with these features at this price. Fully-coated optics help produce a clear bright image along with the 50mm objective lens. The TrueZero windage and elevation system ensures the scope will hold zero and stay locked in. The quick target acquisition eyepiece keeps you tracking your target, or targets, quickly and efficiently. It is waterproof, fog proof, and shockproof to handle recoil and extreme weather conditions. One customer said he put over 500 rounds through this scope over a weekend and it held zero perfectly. That is a testament to its durability. The price to quality ratio according to many customer reviews is great. Should I have a scope on a 30-30 lever action? – This might seem like a redundant question considering this article’s material, but it gets asked more than you think. There is no right answer here, but many seasoned shooters prefer the iron sights on a 30-30 and think they are better than any scope you could mount. Can I use a scope if I have a top ejecting 30-30 lever action? – Yes, you can. But it usually means you will have to drill and tap the receiver and do a side mounted scope. Or there is a scout scope which sits in a way that it does not block the top ejector. Scout scopes are usually a bit more expensive then a side mounted scope. Should I use rings or a one-piece mount? – Most lever action rifles will take a one-piece mount. This also makes it sturdier and holds the scope better. This is another “personal choice” thing that should be decided based on what you have the best experience with. Does a 30-30 lever action need a shorter scope than a bolt action rifle? – Not necessarily, but the way a 30-30 is constructed can make it awkward to hold and shoot with an overly large scope. A small, sleek scope is the way to go for a 30-30. While scoping out a 30-30 lever action is considered blasphemous by some, my uncle has used a scope on his for the last five years because of his eyesight going downhill. He has bagged a deer every year so there is something to be said about that. The best scope for a 30-30 is one that fits your needs, budget, and style. Any one of these scopes will do the job, but for the purpose of a 30-30, I recommend a lower power variable scope with a decent field of view.